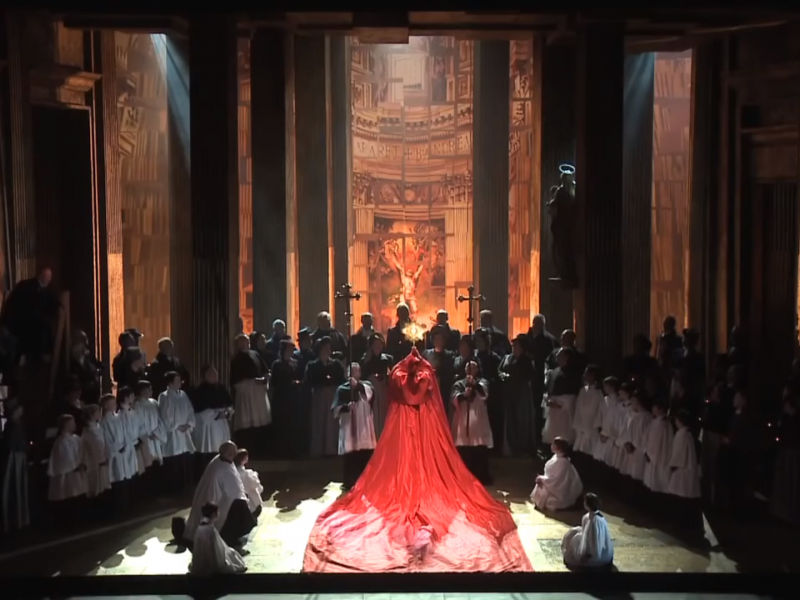 Discover the key dates in Puccini’s creation of Tosca, one of the world’s most loved operas. Première of Sardou’s La Tosca, with the celebrated actress Sarah Bernhardt in the title role. Ferdinando Fontana, librettist of Puccini’s operas Le Villi (1884) and Edgar (1889), suggests La Tosca to Puccini as an operatic subject. The composer reads the play. Puccini sees Bernhardt perform La Tosca. Although the composer understood little of the performance (given in French), the experience rekindled his enthusiasm. of Sardou’s, and in Paris for the first French production of Otello). Verdi is said to have been much impressed by this reading, especially by a long ‘farewell to art and life’ (not in Sardou or Puccini) to be sung by Cavaradossi shortly before his execution, so much so that he snatched the manuscript from Illica and read the verses aloud himself. Verdi later claims that he would himself have set La Tosca to music, provided that Sardou allowed him to change the ending of the opera, but that he was now too old. Verdi’s reaction is reported to Puccini. 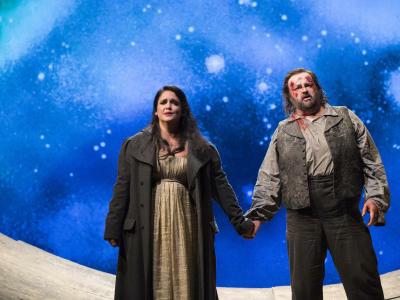 This information and Franchetti’s proposed adaptation make Puccini want to write Tosca, and Ricordi and Illica dissuade Franchetti from going ahead with his version. 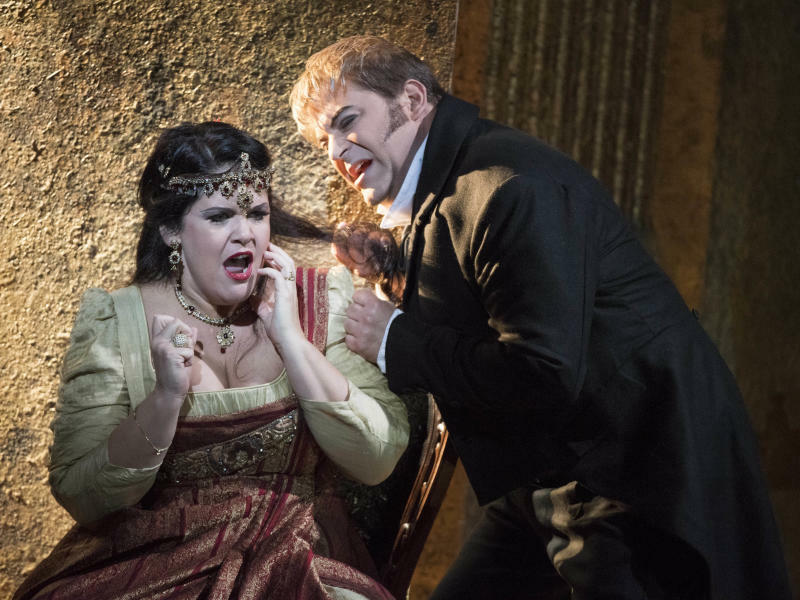 Another twelve months pass before Franchetti renounces his right to composing Tosca. Puccini sees La Tosca again. Puccini is in possession of Acts I and II of libretto. According to the autograph score, work on Tosca makes serious progress, with Puccini completing the finale of Act I, Scarpia’s monologue and the Te Deum. Puccini continues working on Tosca. and put him touch with a campanology specialist at St Peter’s, Rome, as Puccini wished to reproduce in Act III the authentic effect of Matin bells and the pitch of St Peter’s largest bell (an E below the bass stave). Puccini visited the ramparts of Castel Sant’Angelo in order to gain an impression of the Matin bells. In his pursuit of documentary realism, Puccini approached Luigi Zanazzo from whom he obtained the verses for the shepherd’s pastoral heard at the beginning of Act III. Orchestration of Act II completed. Orchestration of Act III completed. ‘Last night first performance of Tosca. Enormous crowd at theatre doors from 11am. Orchestra hardly begun when stopped by shouting and stampeding of people unable to enter. Forced to drop curtain and begin again when silence restored. Act I: Aria of Cavaradossi (De Marchi), “Recondite armonie” encored, two calls. Te Deum finale magnificent effect. Repeated. Wild enthusiasm. Five calls. Act II: Torture scene, very moving. Tosca’s prayer, “Vissi d’arte”, encored (Darclée). Four calls, end of act.